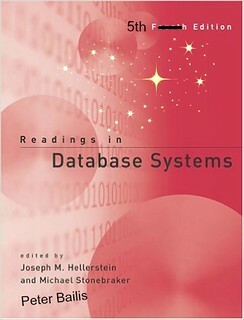 For the first time in ten years there has been an update to the classic Red Book, Readings in Database Systems, which offers "readers an opinionated take on both classic and cutting-edge research in the field of data management." Editors Peter Bailis, Joseph M. Hellerstein, and Michael Stonebraker curated the papers and wrote pithy introductions. Unfortunately, links to the papers are not included, but a kindly wizard, Nindalf, gathered all the referenced papers together and put them in one place.